For more than seven years Jen Loeb ’98 has built a climbing resume rivaling that of only 21 other American women. Mount Kosciuszko and Carstensz Pyramid in Australia. Denali in North America. Aconcagua in South America. Mount Kilimanjaro in Africa. Elbrus in Russia. Mount Everest in Nepal. With only a few years of climbing under her belt, she’s only one summit (Mount Vinson in Antarctica) away from joining the ranks of the most elite climbers in the world—those who have climbed the tallest peak on every continent. 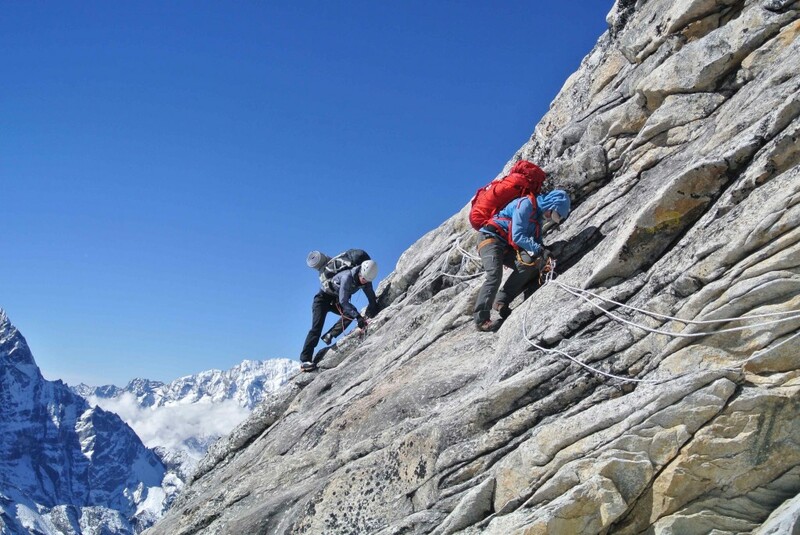 Every new peak presents a different challenge, even for seasoned climbers. Loeb does all she can to prepare. When undertaking a new climb she can control her health and fitness level. She can be sure to have the gear needed to successfully summit. But there always will be the things she can’t control—route conditions, the weather, those climbing with her and above her who might unintentionally interfere. That’s what she was hoping for this spring when she attempted to summit Makalu in the Himalayas, the fifth-highest mountain in the world at 27,838 feet. She was forced to turn around just hours from the top. “The chances of success were slim because it’s a big, technical peak that is prone to avalanches and bad weather,” she said. In 2013, Loeb was part of a group that summited Denali, also known as Mount McKinley, the highest peak in North America at 20,310 feet. Her guides told her to consider Everest. Climbing Denali was no easy feat. Each climber is responsible for his or her own packs and pull sleds to get gear from one place to another. The weather is more unpredictable than on other mountains. Loeb’s team spent five days at 14 Camp waiting out bad weather, hoping the storm would break before their food and fuel supply ran out. Then there’s Everest. The altitude is brutal and the days are long, but Sherpas provide much-needed gear support. Staying healthy on the ascent and descent can be tough, and a simple cold can sideline, or kill, even the most experienced climbers. Loeb knew preparing for Everest would consume her. Physically, emotionally, and financially, she would be committed to the cause for years. And for what? There were no guarantees she would reach the peak. It took three years to plan and prepare for the expedition. Loeb filled those years with rigorous training, as well as additional climbs that would keep her in top physical condition for one of the most dangerous climbs of her life. Twice a week she would lift weights. Four to six times a week she would do cardio, including a grueling workout on a stair climber carrying a backpack filled with sand. But no amount of training can fully prepare one for the gut-busting, nine-week expedition that is climbing Mount Everest. 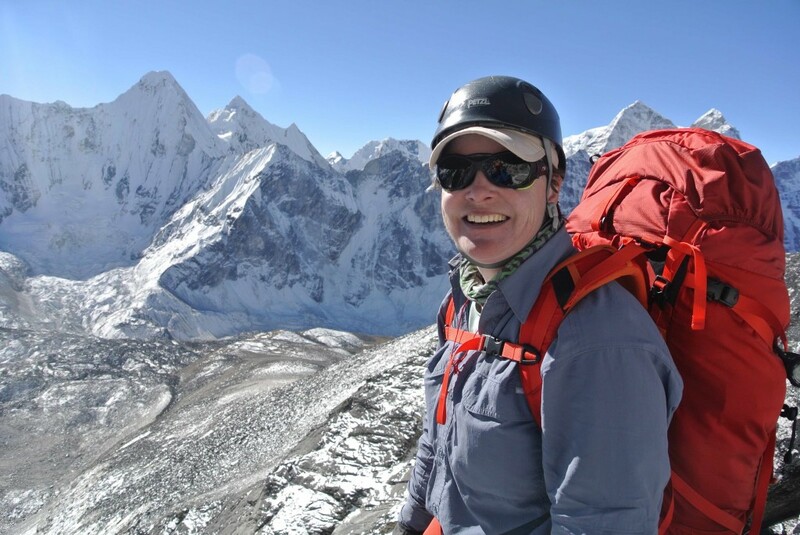 With Everest under her belt and the Makalu expedition now behind her, Loeb already is searching for ways to complete the Seven Summits, a feat between 50 and 75 women worldwide and about 125 Americans have completed, according to several online resources for climbers. 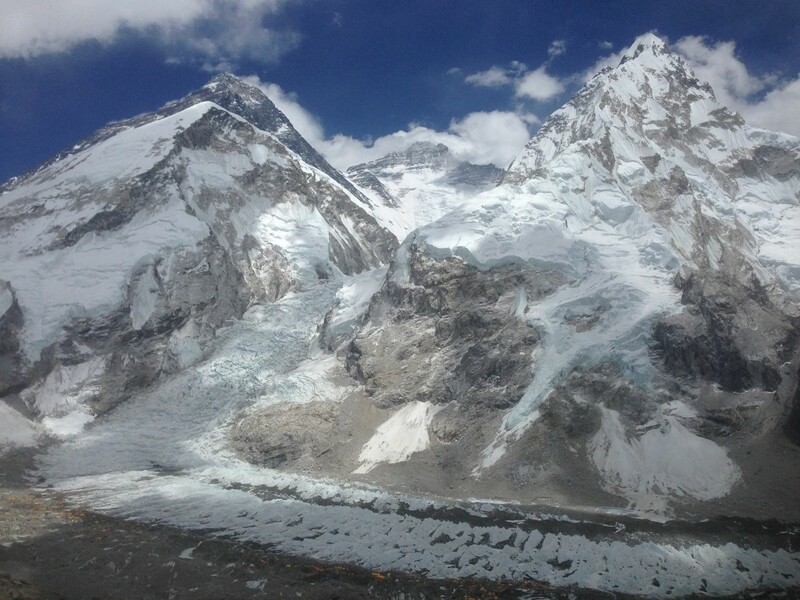 Physically and emotionally, she’s sure she’s ready; however, finances likely will delay the expedition for several years while she continues to pay down the $65,000 in debt she accrued to make Everest a reality. 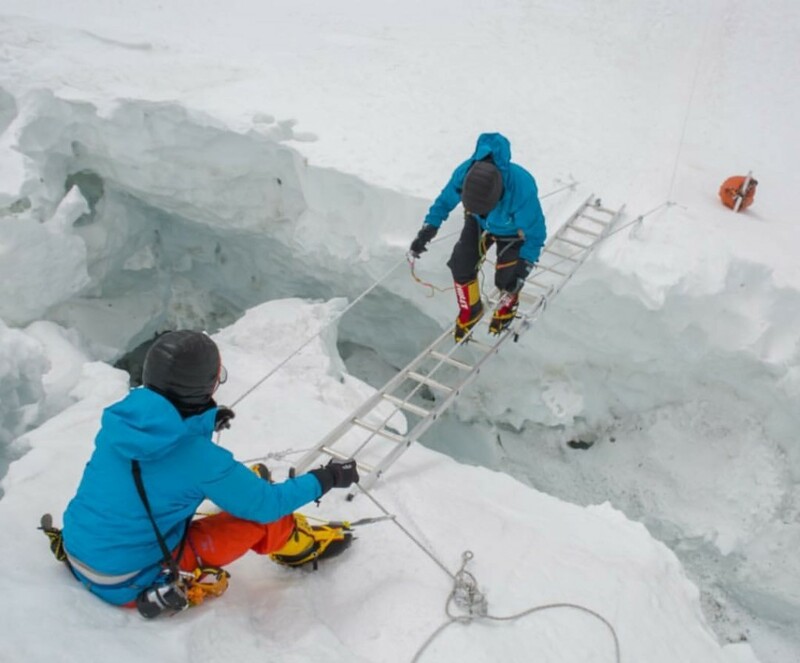 The cost of a Vinson expedition, which usually takes about three weeks to complete, is about $30,000 plus the cost of airfare, insurance, gear, and other climbing necessities. Loeb has worked the last 17 years at General Mills in Cedar Rapids. During the longer expeditions, the company allows her to take all her vacation and then unpaid leave, while holding her position for her. Loeb, who was born and raised in Iowa, came to Wartburg because of its storied biology and running programs. She admits her college years were a struggle, but with the help of a few close friends she persevered, developing lifelong friendships and the character needed to handle hardships on the side of a mountain. Kel Anne Hocker Davis ’98 met Loeb at a cross country camp their first year at Wartburg. They trained and later lived together. From the beginning, Davis saw Loeb push herself to excel—and try new things. Davis remembers talking to Loeb about Kilimanjaro, which seemed like a natural progression from her interest in hiking. Quickly she moved on to bigger and more dangerous climbs, yet still Davis tried not to worry. Today, Loeb’s college running friends join her on all her big climbs—at least in spirit. At the top of each mountain, Loeb gets a photo taken of her holding a photo of her friends. When she returns home, she posts the new picture on Facebook where they can celebrate together.